It is or Kucuk Mustafa Pasha Avenue in Fatih. 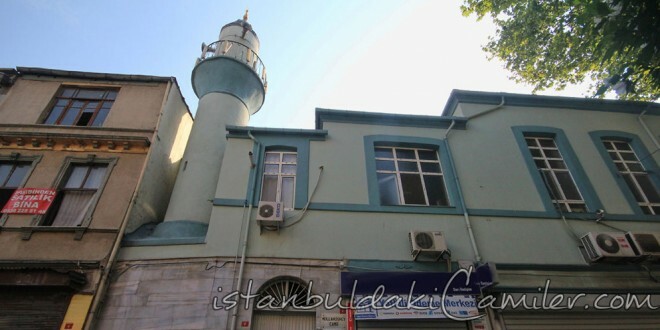 Its constructive is Molla Husrev Mehmet Efendi (died in 1480) who is one of the leading scholars and snaykh al-islams of the reign of Mehmet II (The Conqueror) (1451-1481). The entrance is through an iron gate to the closed yard from the avenue. There is a small room designed to be narthex on the right of the yard. Through the high ladders on the left of this room there is a passage to the narthex having a quadrangular plan and inside measures of 8,70 x 8,70 meter and to harim place. Some part of narthex was divided with window wall and preserved as imam’s room. The narthex is 3,80 meters deep and is opened to harim with a door which is not on the exis of mihrab. On the right side of the door there is a window with a pressed trimmer. The minbar and the ceiling are wooden. There is not a Ladies’ section designed separately in the structure. The minaret rises on the entrance gate. The structure which has shops under is not understood to be a mascid at first look.